Pour réussir dans la science, il faut douter; pour réussir dans la vie, il faut être sûr. 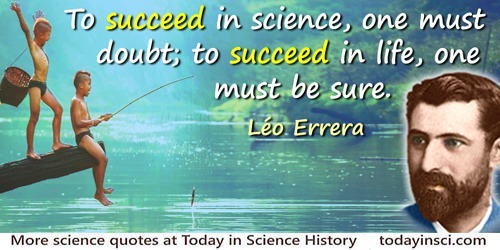 To succeed in science, one must doubt; to succeed in life, one must be sure. I think I know what is bothering the students. I think that what we are up against is a generation that is by no means sure that it has a future.